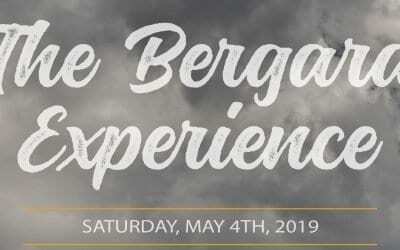 Get ready for “The Bergara Experience,” which in essence is an opportunity to have the public (current or future Bergara owners) come out and experience shooting a variety of our Bergara rifles. Our first event of the year will be held at Manatee Gun Range in Myakka City, Florida. Arrival is at 10:30 AM EST followed by a provided lunch. Shooting will be 12 PM to 4 PM. You will be able to hang out with the Bergara team while testing out our rifles. We will be providing cold drinks and swag to all that join us at the range. All attendees must be there by 10:30 AM EST, gates will be closed afterward. Please let us know if you will be joining us by using the invitation form on this page. Select the “Request invitation” fill in the form and in the message area include your shirt size and select “Send”. RSVP will be cut off at 50, so don’t delay in letting us know you will attend! There is no cost to attend or shoot. Ammo is provided. Many of our Bergara rifles will be available to shoot with premium quality Zeiss Optics. Additionally, Zeiss representatives will be working right alongside us to help you navigate the often confusing process of selecting the right glass for your needs. Reticle selection, glass quality, power, and many other technical aspects will be discussed during this personalized workshop. Do you want to request an invitation?